It took solid 3 days to compile this from over 10000 stations and some i have to maintain in excel sheet and i feel relieved at last to complete the job. 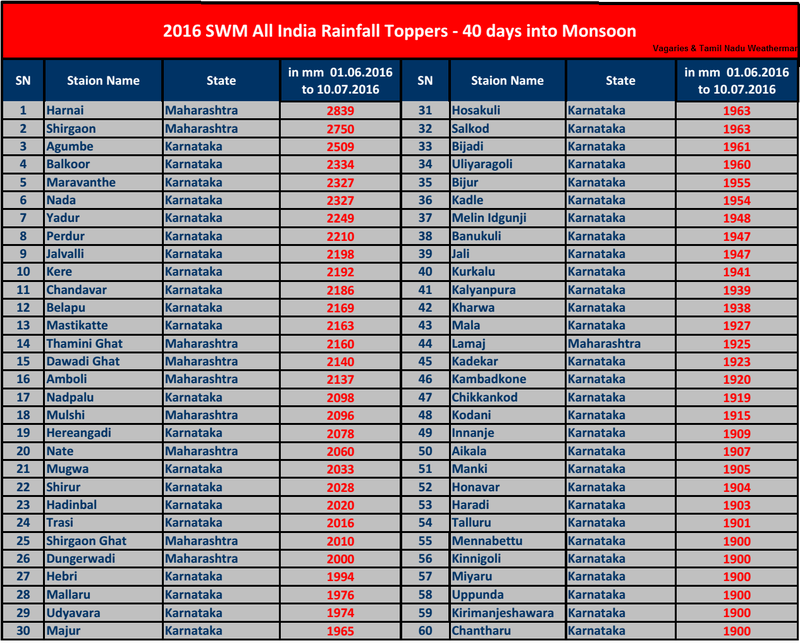 Cherrapunji at 1798 mm, World No.1 wettest place Mawsynaram at 1860 mm, Kitwade at 1805 mm, Mahabaleshwar, Chinnakallar (king of Tamil Nadu), Gaganbawda, Kuttiyadi, Gavali, Amgaon all failed to make the cut-off. Hulikal which is King of South India is not working and Talacauvery readings not available. Open the image in new tab for higher clarity. Thankyou pradeep john.appreciate the hard work. I dont think we can get such information anywhere else. 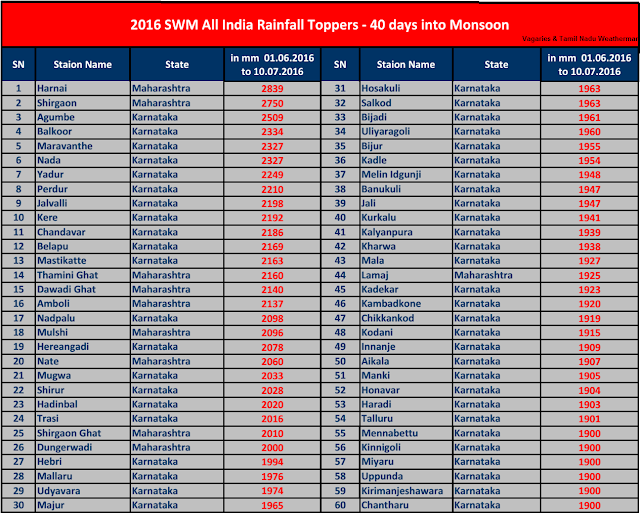 looks like Mumbai wont get heavy rains till 20th July. 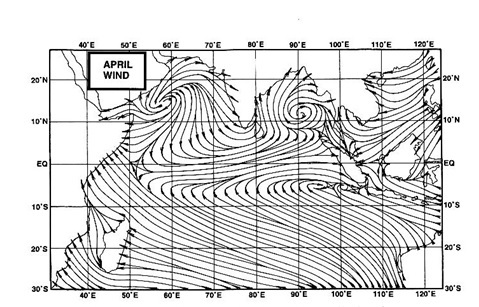 When next low in bay will form? Light rain in Mumbai suddenly change in weather. Drizzling in Mumbai since afternoon.